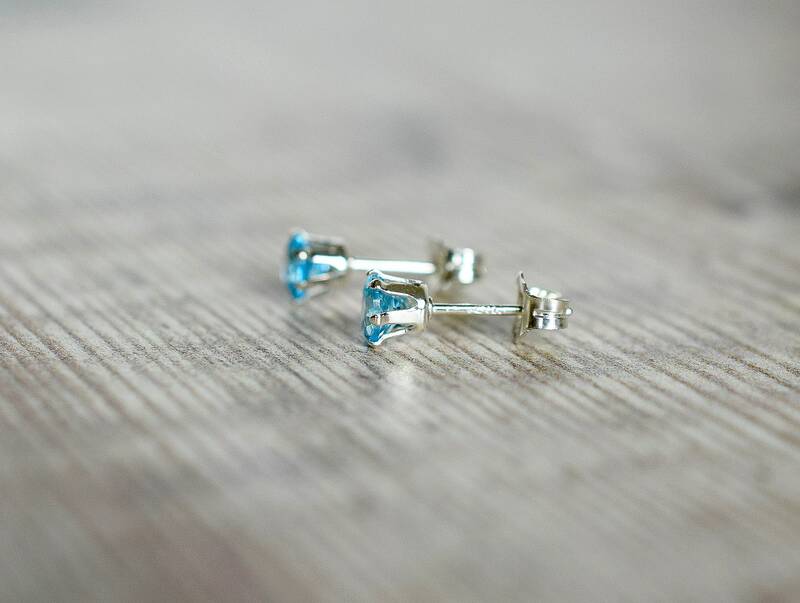 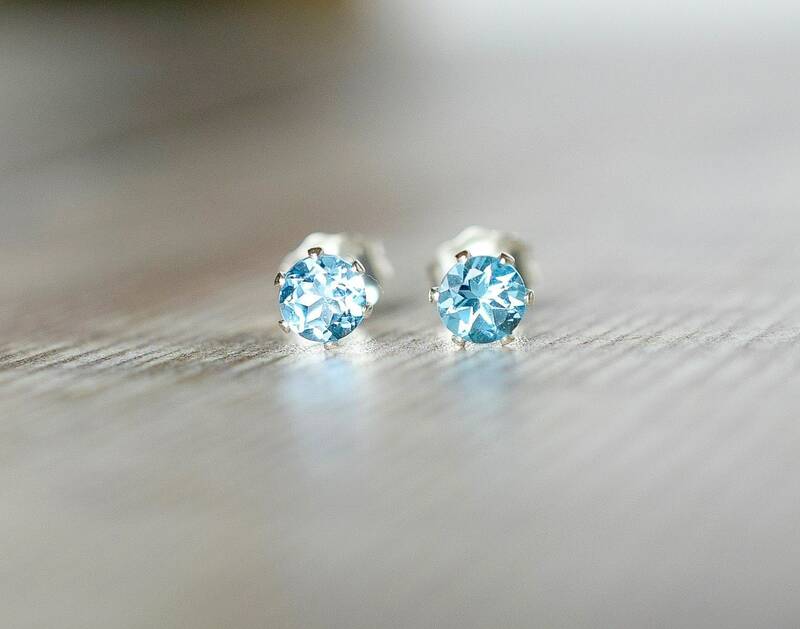 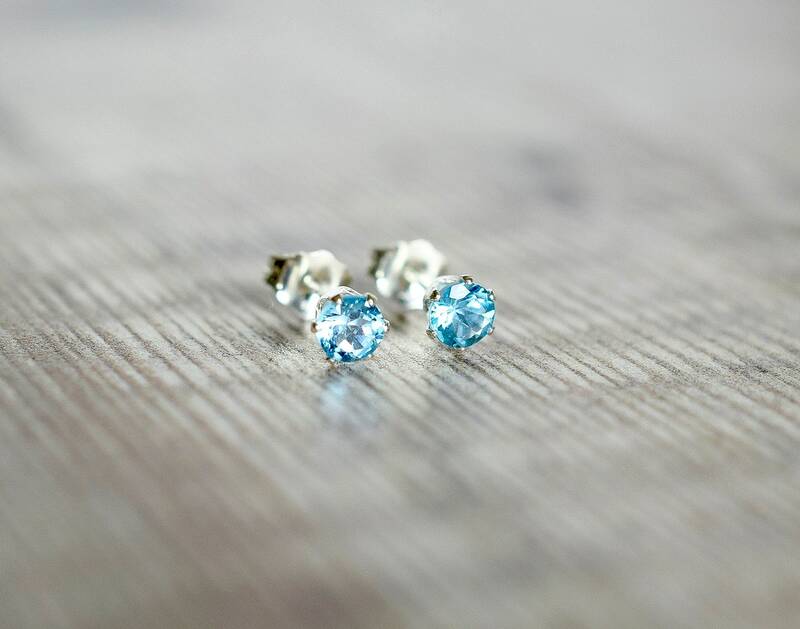 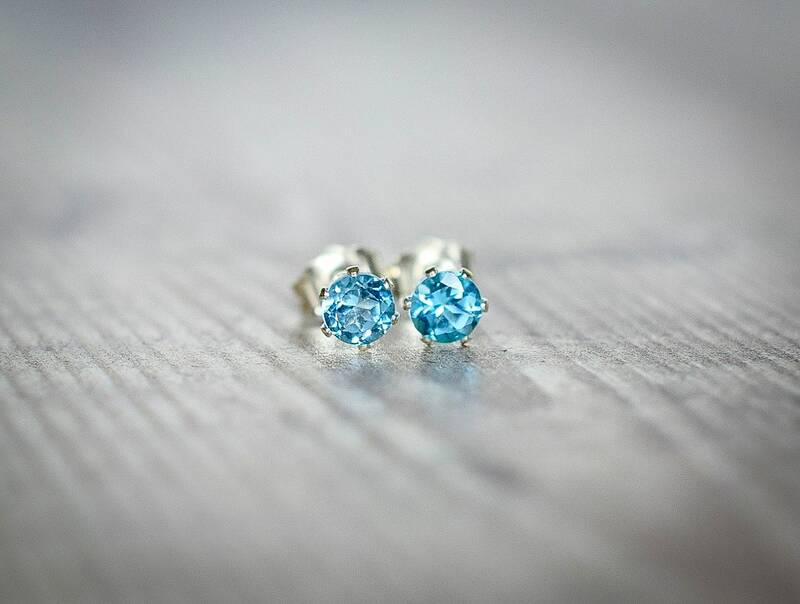 These chic little studs have been designed with vibrant blue AAA quality Swiss Blue Topaz. 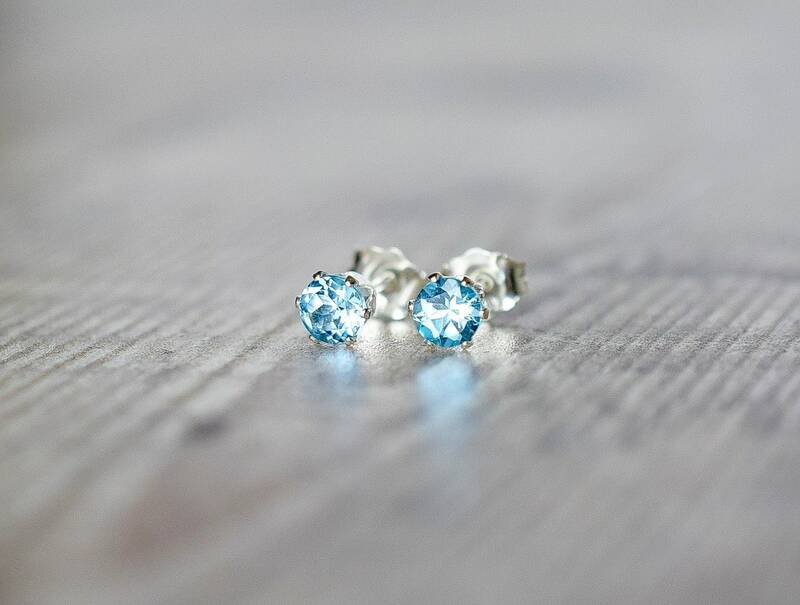 Made with Sterling Silver settings the earrings have butterfly scrolls for backs which are also sterling silver. 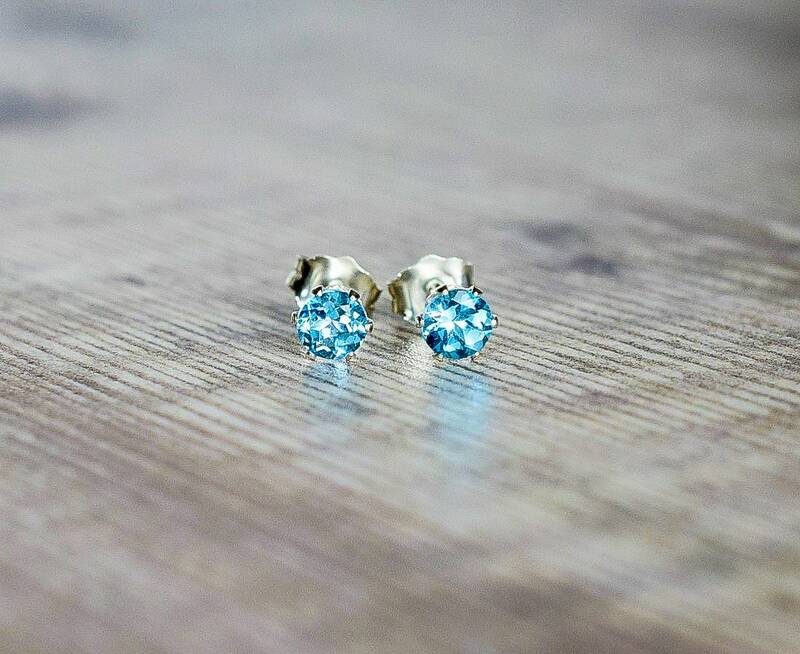 The studs are perfect for everyday wear while adding an extra sparkle. 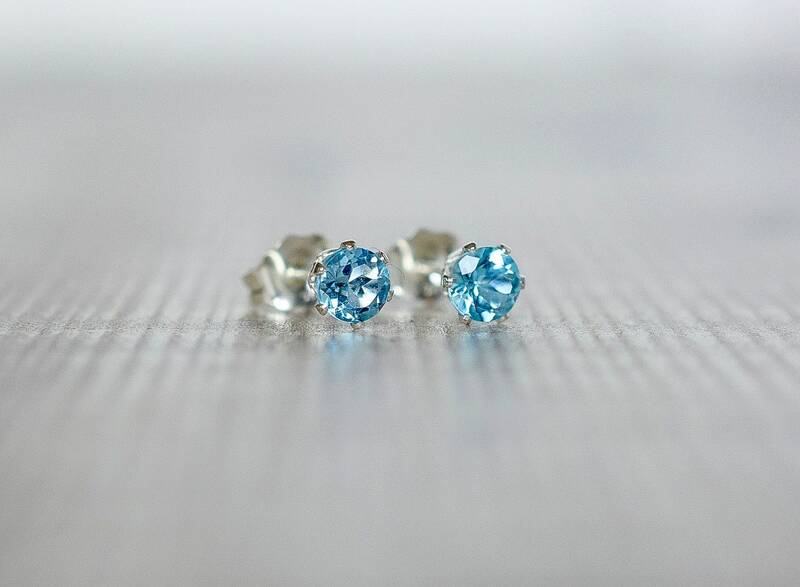 * The Blue Topaz gems measure 4mm. 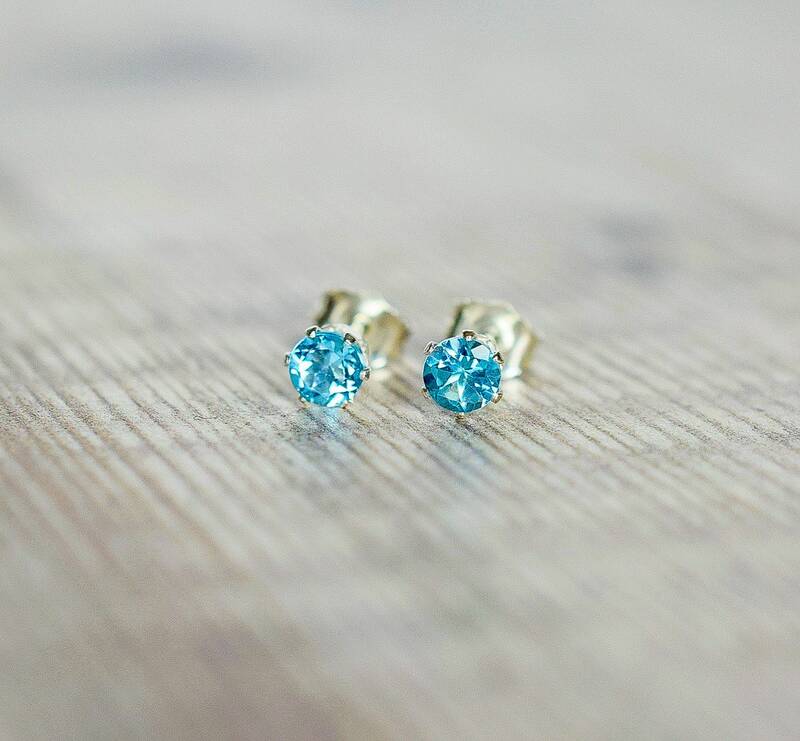 ✨ Topaz is believed to stimulate your self-confidence and is known as the gemstone of love, affection, and good fortune.